Very very good news for the students of class 12th passed students in past year. Bihar School Examination Board in this month last week going to give a scholarship to every student who belongs to SC ST category. Students who have passed class 12th or matriculation examination in the year 2017 with the first or second division. such students will get the benefit of BSEB Mukhya Mantri Balika/Balak SC/ST Inter/Matric First/Second Division Protsahan Yojana 2017-2018. BSEB has been issued the notification to every DEO and Every DEO has sent the list of students who are eligible for it to respective school where students filled the form. for examination. A list of the 1st and 2nd division students is now verifying by school and collection certificate and bank account for credit amount. School/College/Institute who is affiliated from BSEB Patna. After receiving of complete details of a student who passed in the previous year 2017 annual examination class 10th or 12 with Ist or Second Division After verify list will be sent to DEO (Collectorate Office of Respective District). Students will get BSEB Mukhya Mantri Balika/Balak SC/ST Inter/Matric First/Second Division Protsahan Yojana 2017-2018 amount. It is for SC/ST Students Boys/Girls who passed with First Division or Second Division. Remark :- If any term or condition or not eligible mention in this box. If you are the students in year 2017 in Exam 10th or 12th Board exam scored First or Second Division and Belong to SC/ST Category then soon contact your respective school/College/Instute for get SC/ST Meghavirti scholarhsip. Sir inter 2nd division 2017 ki protsahan rashi kB account me aayega nhi aaya to meri pdhai ruk jaygi mere father h nhi to kya hmm nhi padh payenge pls sir ..,……. 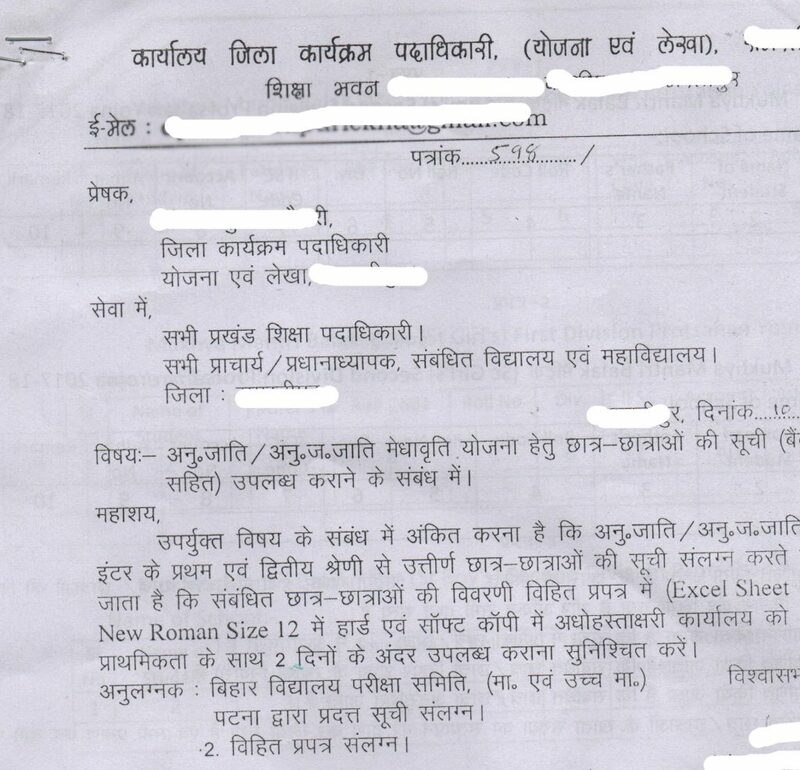 Sir 12 th 2018 walo ka ab milegaa..
Abhi sabhi school se matric and intermediate qualify ka list maga liya gaya hai deo ke doara , aur rashi vidharthiyo ke account me asthantran ki prkriya jald shuru ki jayegi. iski suchna is website par milti rahegi. Sir. I have gotten 81.8%marks in 12th board exam in2017 Through science stream bu I m not benifited till now.. While I belong to SC category. Hlw .Bhai apna number bhejo .Mujhe kuchh help chahiye . Abhi tak koi update nahi aaya hai iske regarding, Jaisa hi bal kalyan vibhag ke doarara aayega hum update karenge. jaise ki iske baare me jankari milegi hum scuhit karenge.. Aapko yah bata de ki Board ne rasshi aavantan kar diya hai. Sarkar ki aisi koi policy nahi hoti hai. kya kare sarkar to sirf SC/ST par hi meharban hoti hai. Jo vidharthi main exam me pass huye hai unher prostshan rasi milti hai.